Most people think the middle part of Australia is just desert, with the odd serial killer thrown in to keep things interesting. And that's true! But it's only part of the story… There’s also an uber-dry, Pakistani woman, a glittering Drag Prince and at least two funny white guys holed up in Australia’s semi-arid, central paradise, all of whom are traipsing all the way from the Alice Springs to Adelaide for your Fringe enjoyment! 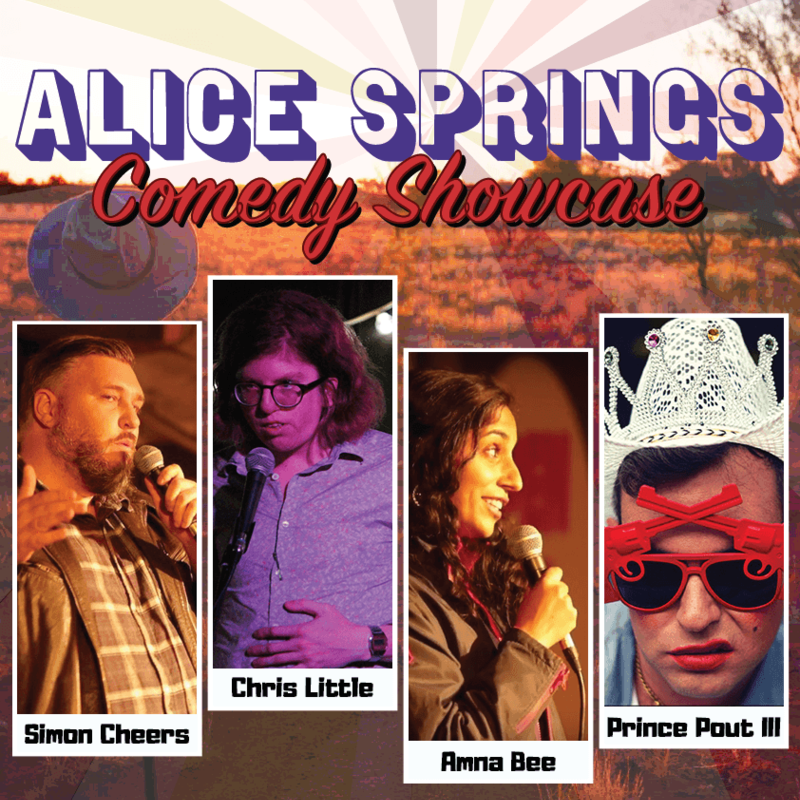 Red Centre Comedy is proud to bring this diverse selection of the centre's best comedians down south for this year’s Alice Springs Comedy Showcase! So get your tickets now and enjoy four comedians for the price of one this Fringe, including Darwin Fringe's Best Comedy Act in 2018: Prince Pout III! WE LOVE COMEDY! RCC is the home of comedy in the Alice Springs! We're dedicated to growing our local scene and bringing the best Aussie comics to the Centre!